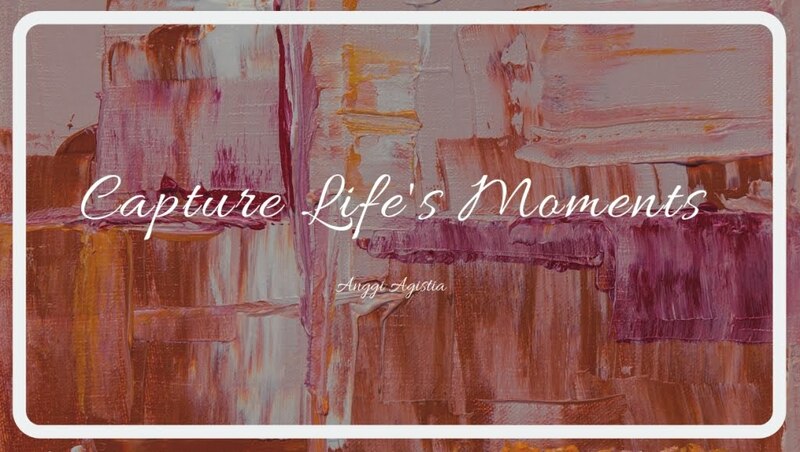 Capture Life's Moments: Live your life! Live your dreams! Live your life! Live your dreams! I love storytelling, in different way. Writing. Yes! I think that every person has their own 'favourite way of communicating to others, about what she/he think, what she/he feels, or just for expressing ideas. For me, writing such as the best way to express my thoughts, convey my feelings, and most of the time, to spend my time, killing my 'loneliness' and describe random thoughts. I have a dreams. A lots, actually. Along the time, my dreams change from one to another, randomly. To be a doctor, lawyer, architect, lecturer, business woman, and so many other, then now I know what I want ..to be writer and entrepreneur. Oya, to be good housewife, of course. Someday. Aamiin. They said, a dream could to be big or small. But, everyone must have a dream to still alive, you know 'alive'. I always imagine if oneday I was write story, watch my book in bookstore, hmm that's such a big compliment for me. Great achievement. May I? InsyaAllah. Most of all, the most important thing is to know that dreams do come true, so we always try to work smart, have a balance between work hard, play hard and pray hard, and persistently to reach it. Help others to pursue their dreams also can be better, for people around ..for ourself. Keep a faith. Allah always be with us. Now, I just need to switch my mind so it'll encourage myself to be strong and just walk on by. Do my best and keep telling myself that it's for the best. So it's a new challenge of finding myself in the crowded feelings inside, yes. Move up! And the only one that I know to get there, to all of my dreams, is by surrender completely to God. Ikhlas.. The clock is ticking, the water's flow, and there are so many blessing that I didn't realized happens in my life, around me. So, I need to focus on that and take back to living this life to the fullest. Never regret of something because it means nothing ..whatever it is, if it didn't happen, then it's not meant to happened, and otherwise maybe. Although some perspective had changed, but you are seeing a stronger woman standing here, and no one can bring me down again. I won't let you, or I will kill you!